It was bound to happen some day. 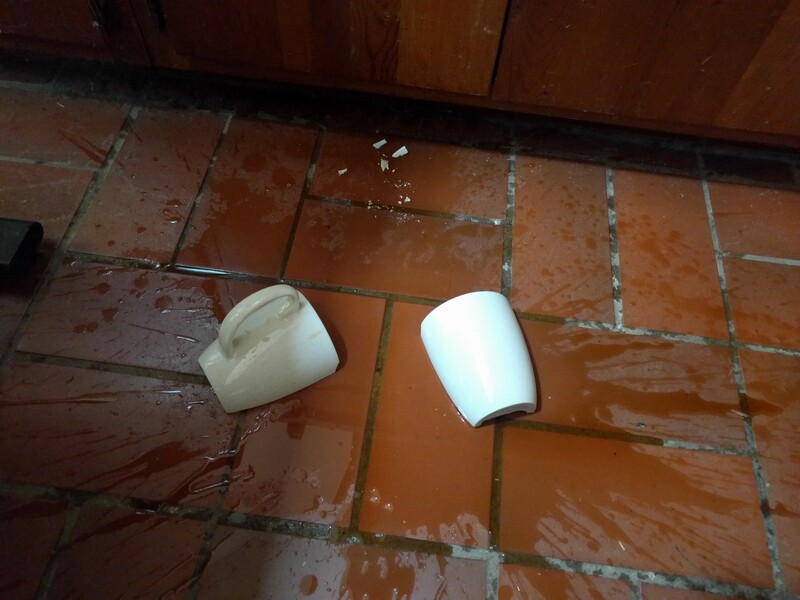 One moment I'm peacefully hacking some code, and the next thing I know, an out of control elbow sent my cup of coffee crashing to the floor. 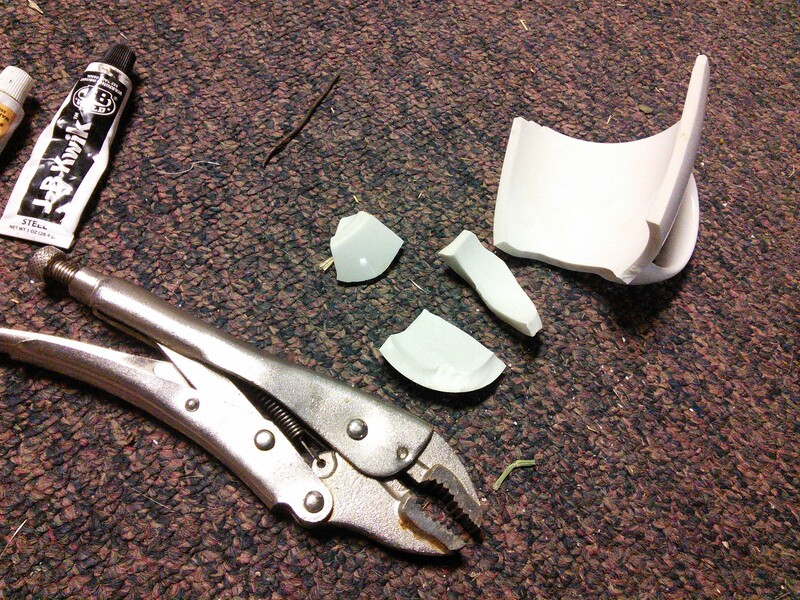 Not being one to waste a perfectly good broken mug, I decided to fix the mug. Simply adhering the broken pieces together is a tad bit boring, and no one really wants to drink from a cup that's been repaired with J-B Weld. 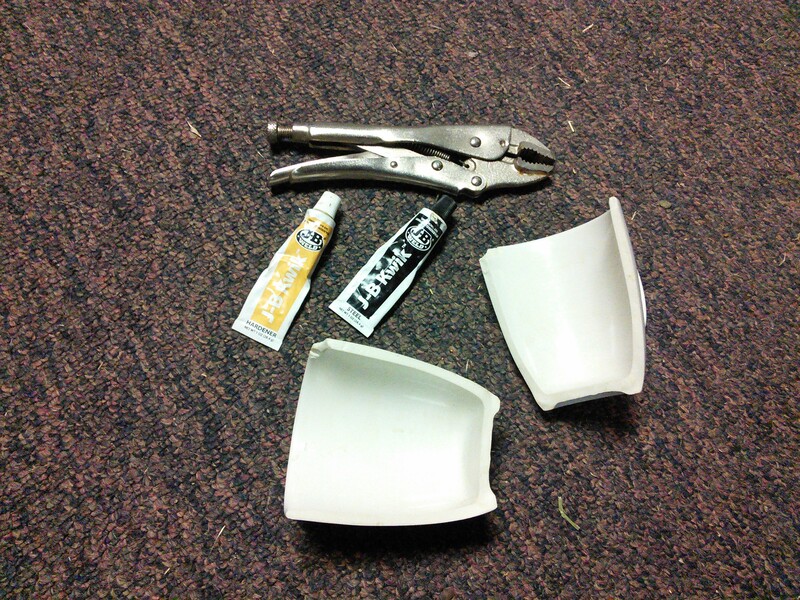 Using some vice grips as a hammer, the base of one cup piece was broken away completely. The next step involved putting the cup back together with one of the new bottom pieces offset to allow liquids to easily pass through the cup. Hot Damn, I sure do like that kintsugi look! 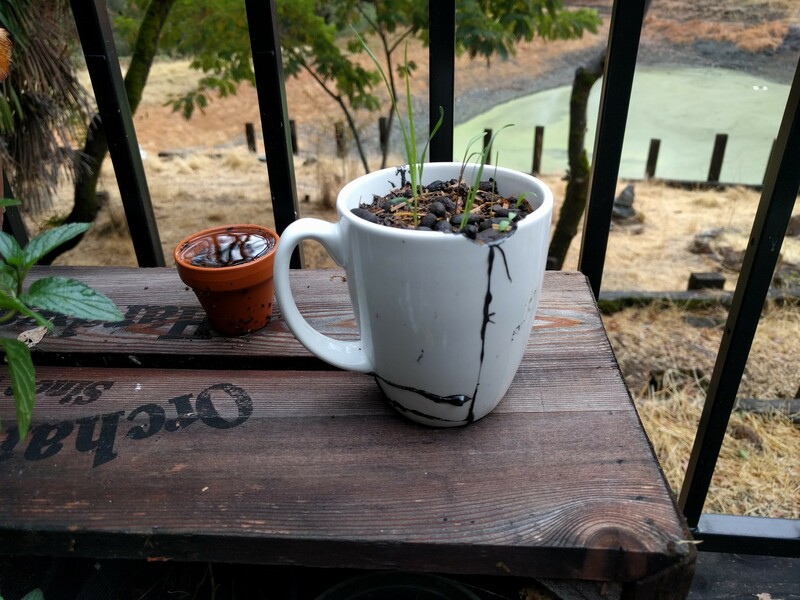 Once the adhesive had cured, the new cup was filled with sheep manure, placed in the Sunshine, and watered daily... just to see what would grow.